We were only thrilled when Laura Cunningham, Editor of Confetti magazine got in touch with us a couple of months ago. 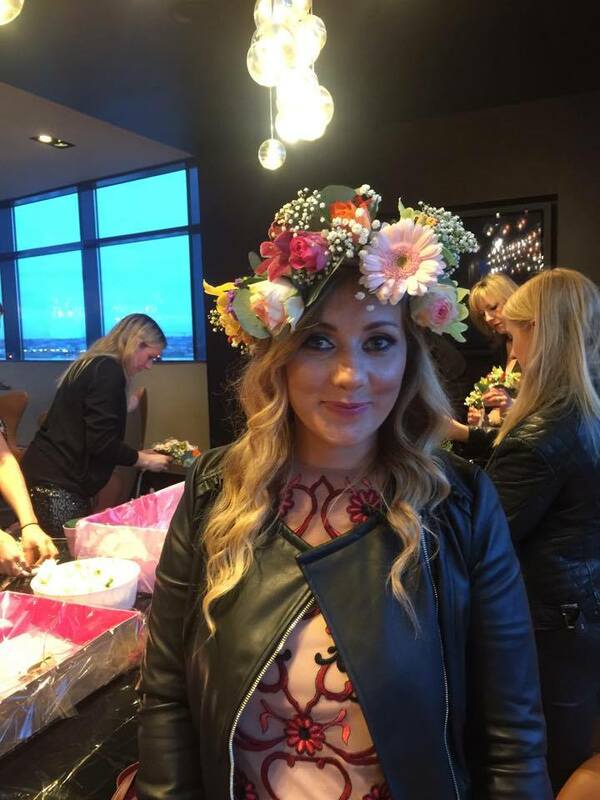 She was organising one of her best Friends Hen Party in Dublin and we were only delighted we had the date free and could help he rout. Heather's Hen Day started at 10am will a delivery to her home telling her where she was going first. Myself and Janette had great fun following Heather & Laura on snapchat finding out where she was going each step of the day. 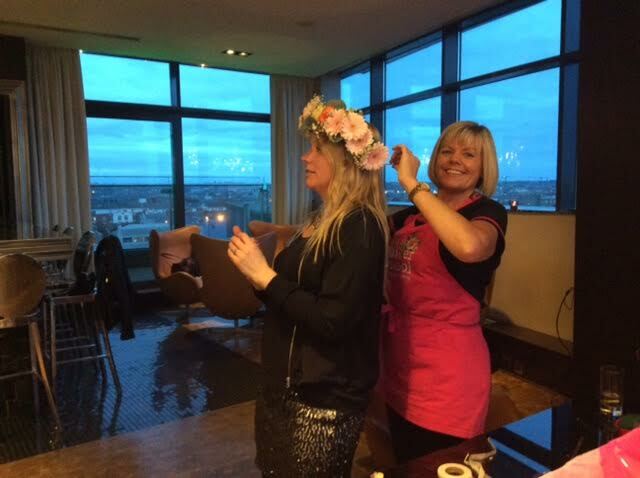 At 5pm and perfectly on time , 26 gorgeous ladies ...well 25 plus the gorgeous Gordon arrived into the beautiful Sky Suite in the Radisson Blu on Golden Lane which we had all set up for their Flower Crown making class. 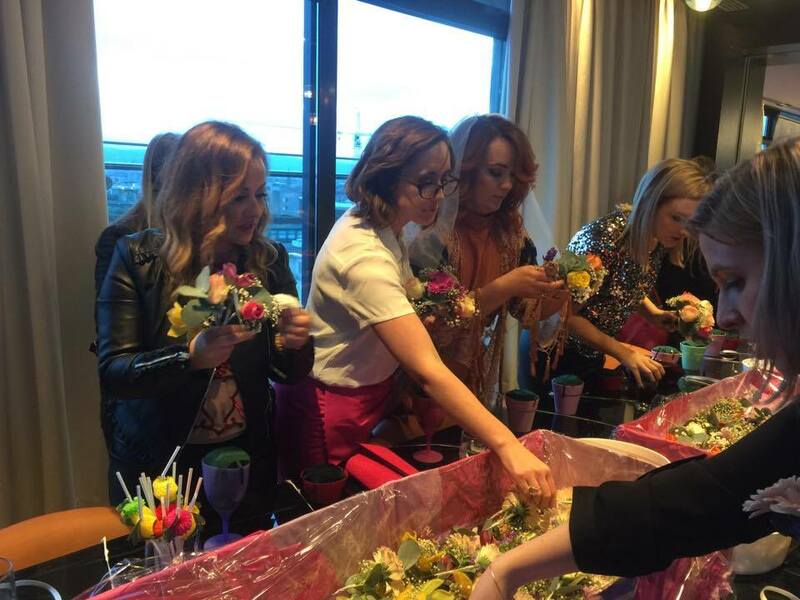 Each Hen picked out their selection of flowers they wanted to use, then we went about helping them put them together. 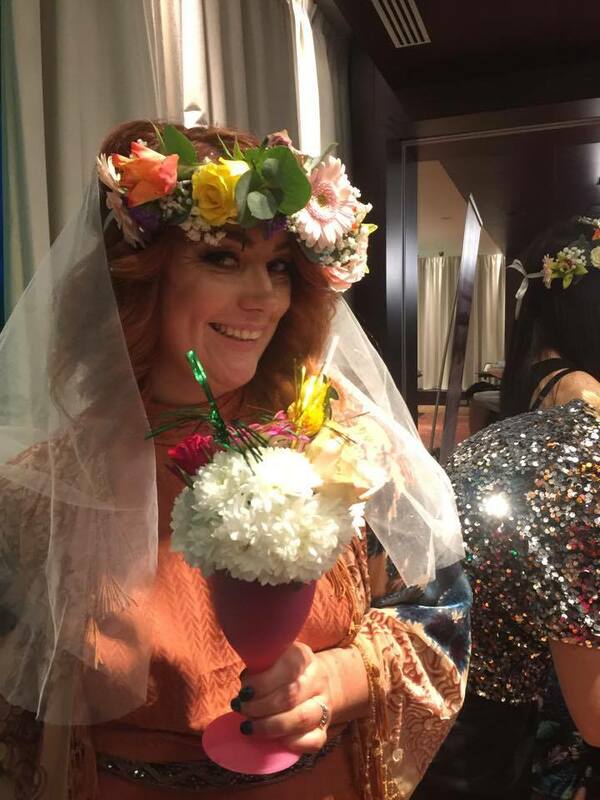 Heather the gorgeous Bride to Be was a complete natural and had her floral crown put together in no time at all, in fact she was the first to complete it. 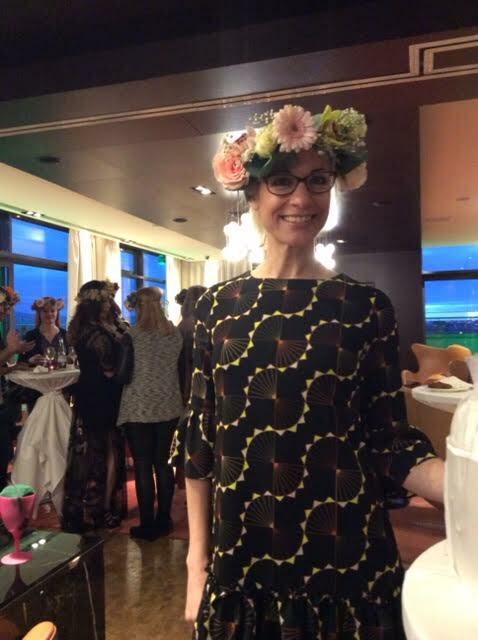 Once all the guys had their Flower Crowns made and in place on their heads, the had some nibbles supplied by the Radisson. When they finished eating them came back to the table where they went about making Flowery Cocktails and Flowery Cupcakes. 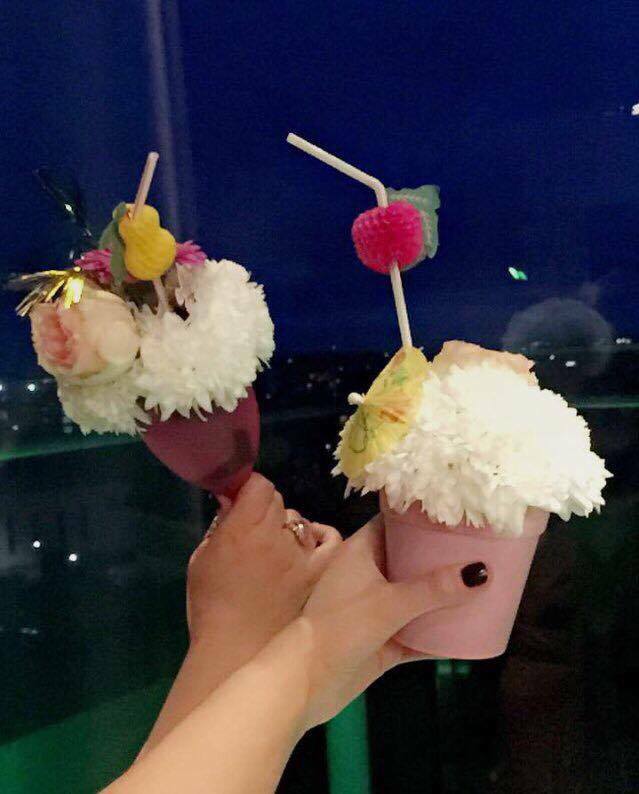 We had all the containers and flowers ready and there was such good fun making and decorating their own calorie free cupcakes and alcohol free cocktails. 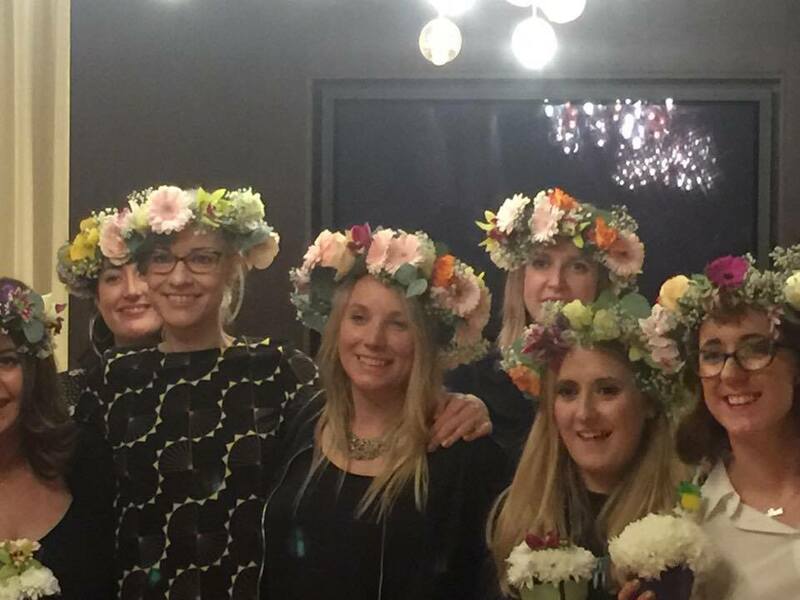 We were absolutely delighted to be part of their amazing day, I have never met such a happy, ecstatic, grateful, kind Bride to be and bunch of fabulous hens. 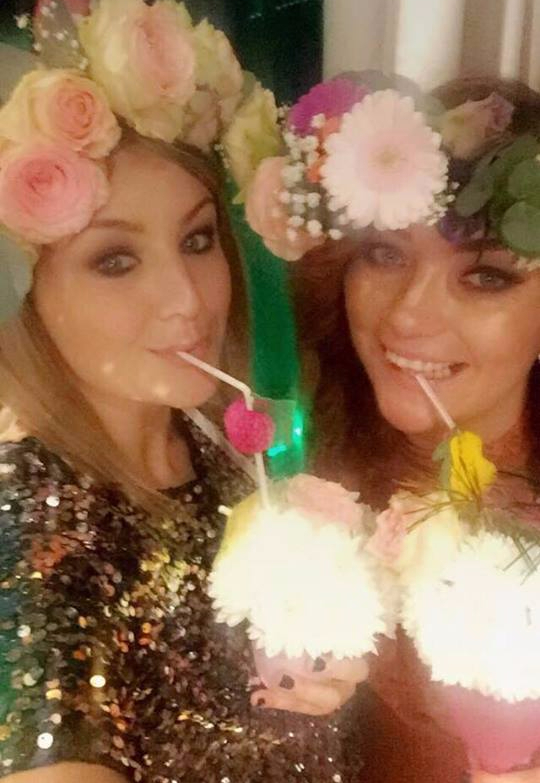 We loved watching their Snapchat stories later in the evening too, we actually felt we were at the hens also. 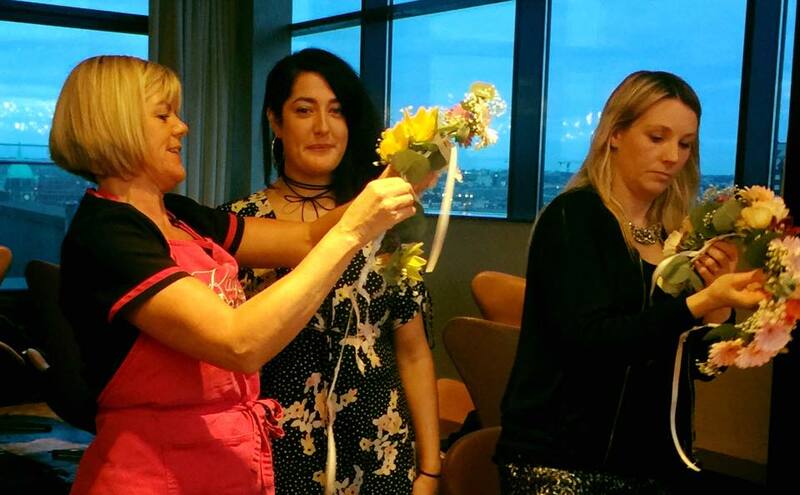 Janette, Deirdre & Triona wish Heather all the very best on her wedding day, and thank you so much to Laura for allowing us to be part of your celebrations. 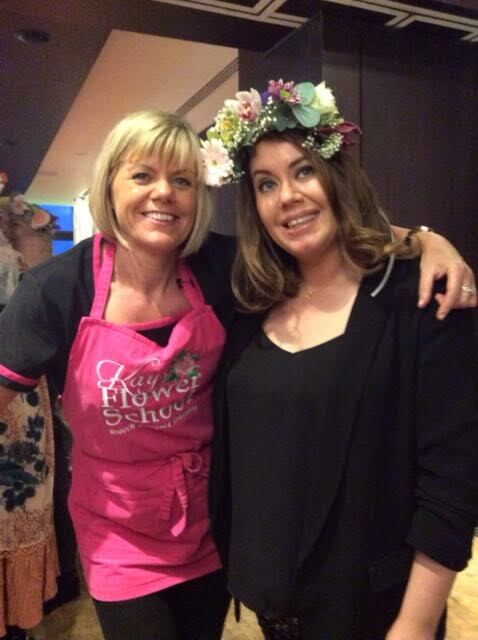 From the moment we booked Heather’s hen party with Kay’s Flower School, they were an absolute pleasure to deal with. 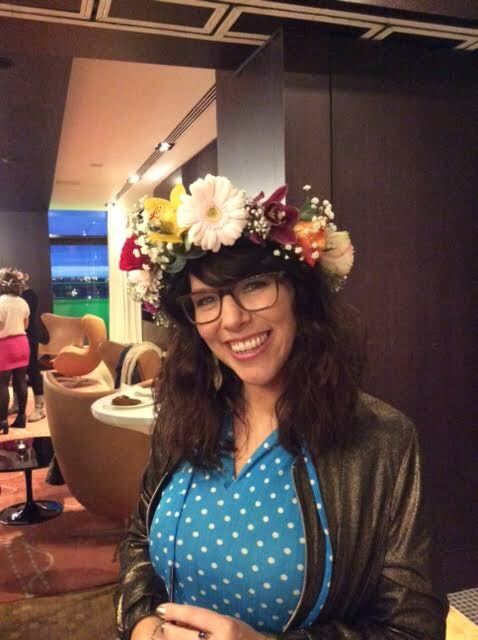 We arranged to hold the class in the Sky Suite in the Radisson on Golden Lane, which was perfect. The whole day was a surprise, so when we arrived, Heather still had no idea what she was in for. 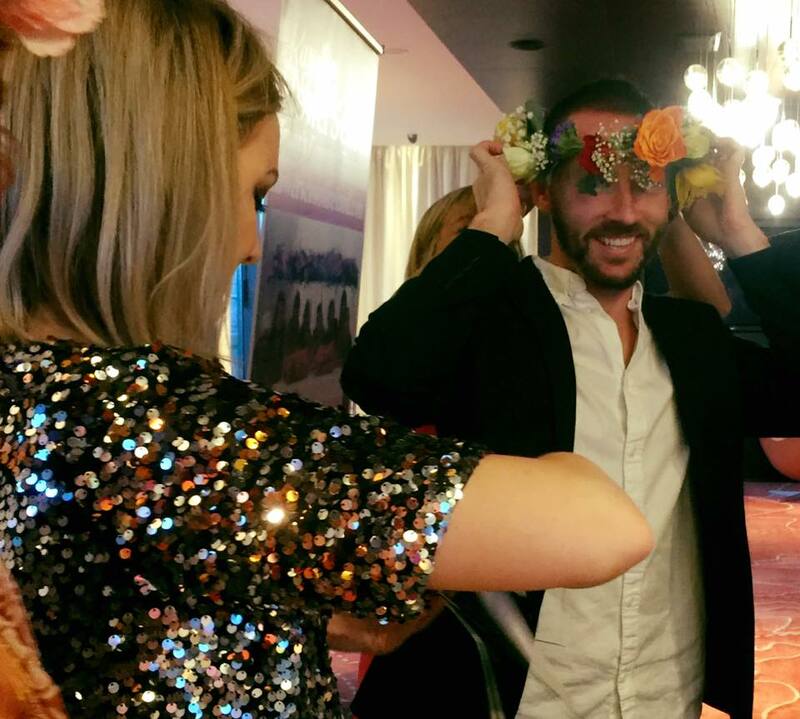 She squealed with delight when she realised we would be creating flower crowns. The girls from Kay’s were just as excited for her and it really added to the fun. Everything was prepared for us, so all we had to do was choose our flowers and get creating. It was the best fun! The girls were on hand to help and really joined in the fun. After a quick food break, we also made fun cocktails and cupcakes from flowers. The room was full of colour, beaming smiles and the sound of laughter for the duration. Afterwards we headed off to dinner adorned with our new creations. 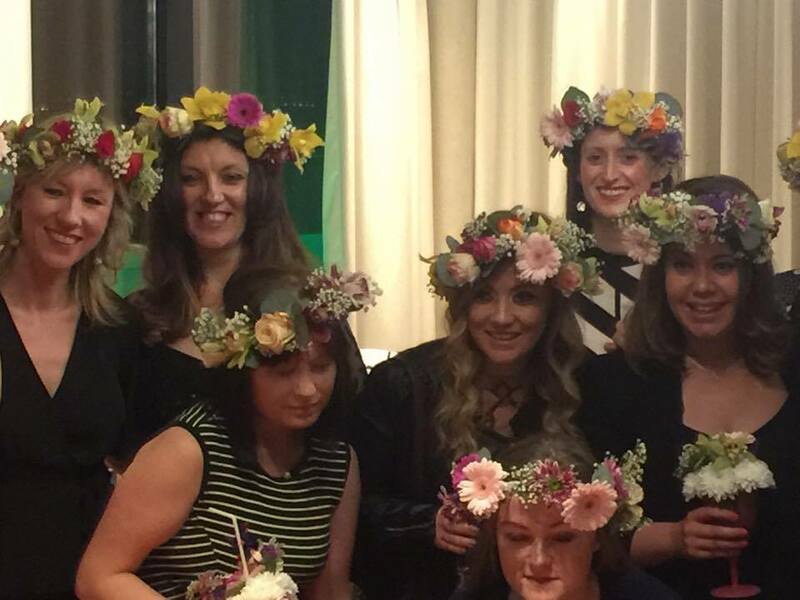 I can’t recommend this as a hen activity enough! It was just brilliant from start to finish. 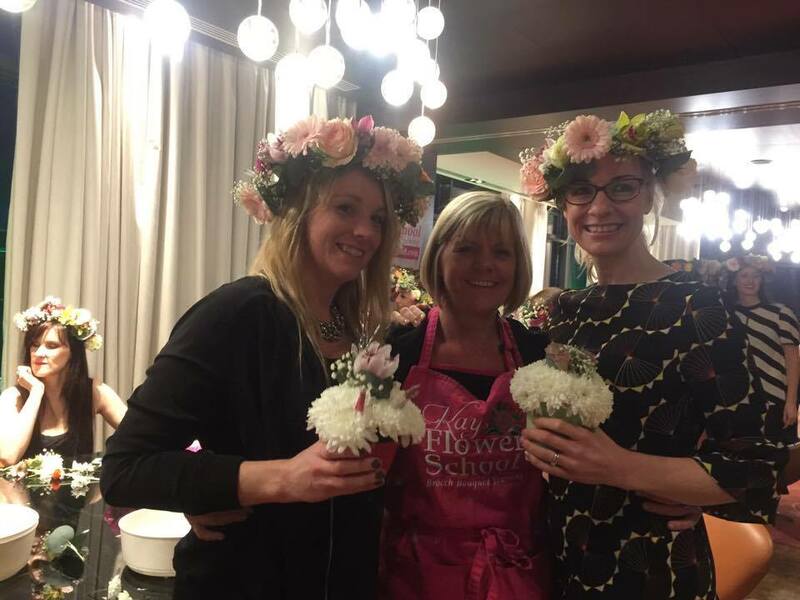 If you are interested in booking us for your hen Party or Corporate Event, drop us an email to info@flowerschoolireland.com with location, dates and details. We can tailor make an event to your budget. 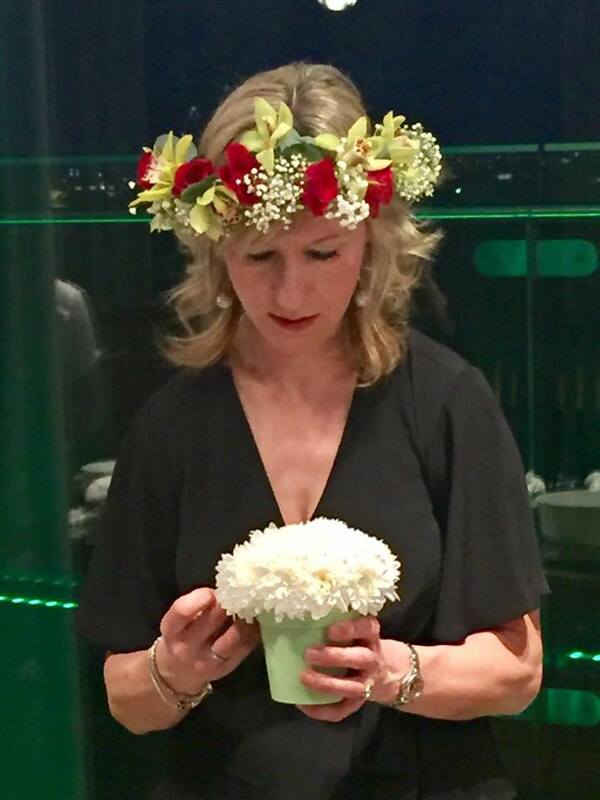 Flowery events range from €45 per person for a minimum of 10 people. Traveling expenses may apply for outside Dublin city area.